Salem Waterfront Hotel & Suites is a new boutique hotel located in Salem, Massachusetts. 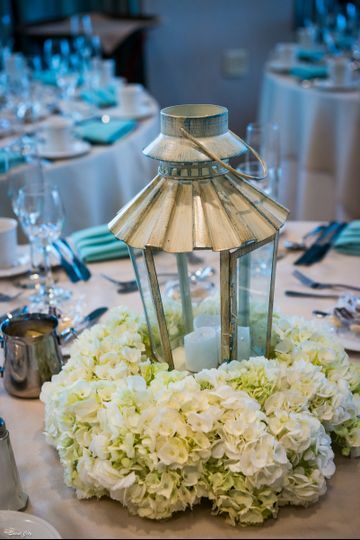 It's a luxury venue with nautical, contemporary and warm decor. 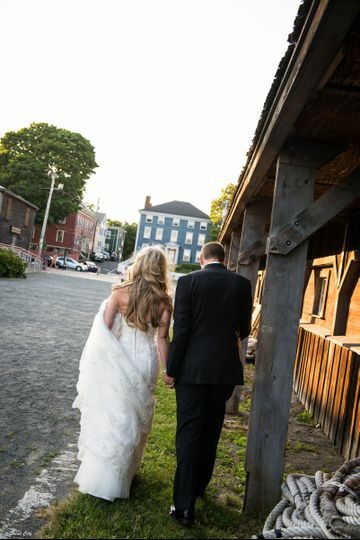 Situated right on historic Pickering Wharf, couples will have a picturesque, waterfront wedding. Salem Waterfront Hotel & Suites is an award-winning North Shore hotel surrounded by rich history. 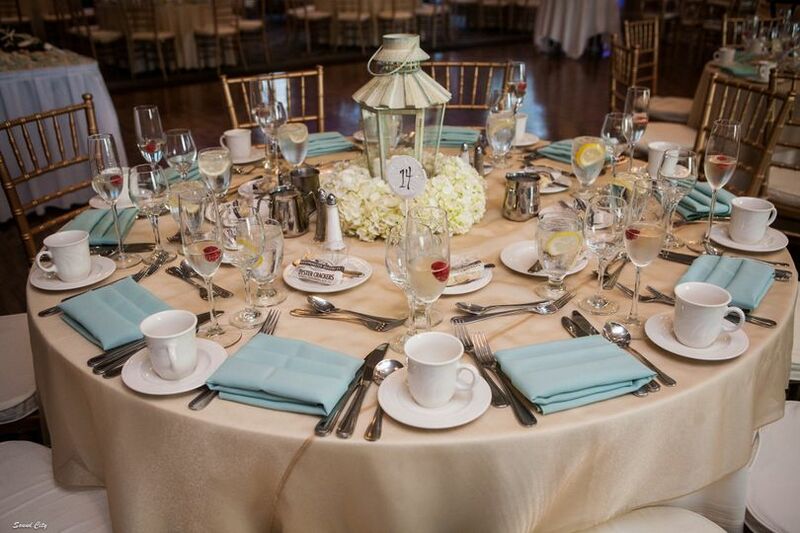 Couples can accommodate up to 220 guests at this elegant venue. 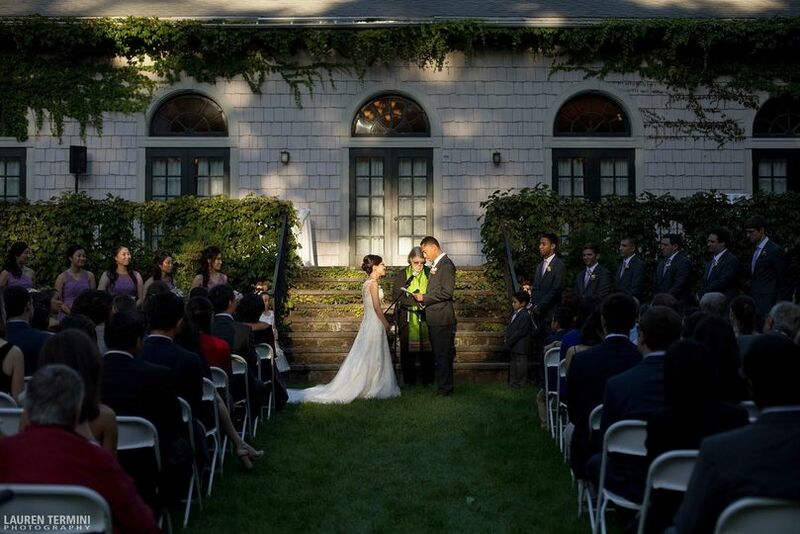 They have multiple indoor and outdoor sites for your ceremony. 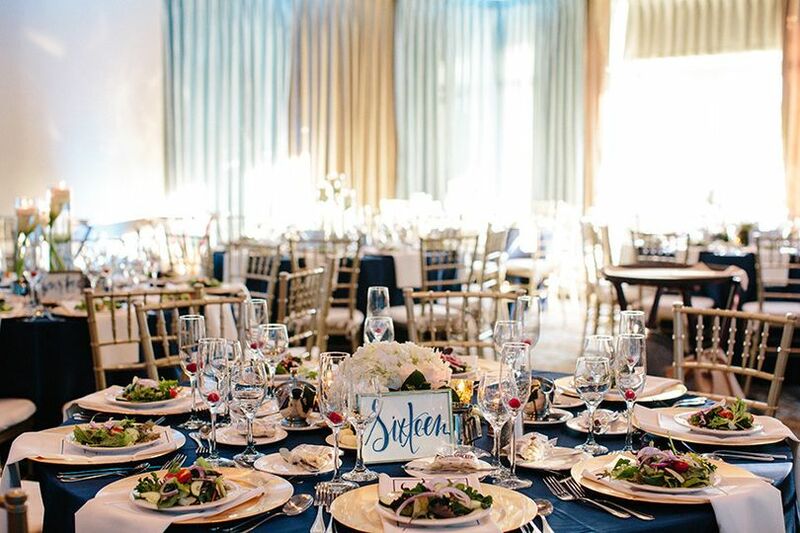 For your reception, they offer an indoor ballroom adorned with chandeliers. Salem Waterfront Hotel & Suites offers 86 beautifully-appointed, waterside guestrooms. They offer room blocks as well as discounted rates to you and your guests. Their rooms are the largest on Boston's North Shore. My Wife and I got married at the Salem Waterfront Hotel August 12, 2017, and everything was just perfect. 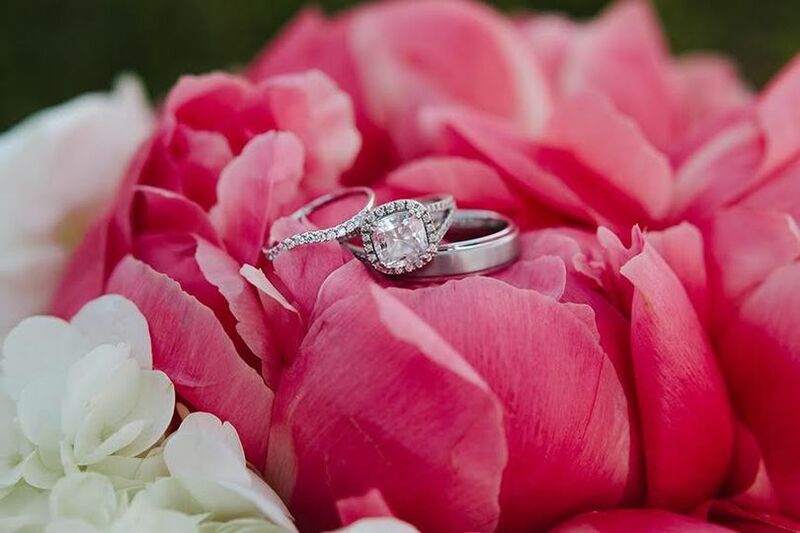 We started planning two years in advance and had the pleasure to work with Robyn Sheather, Caitlyn Ward, and Rose O'Malley; all three wedding specialist are great, experienced and professional. Rose O'Malley was our coordinator, she put our minds at ease even after last minute changes and she made sure everything went exactly as planned for our big day. We loved the food, and we still getting great compliments from some of our guests about it, specially the passed hors d’oeuvres during cocktail hour. The Platinum Package was priced reasonably, and the hotel was very flexible with a few special requests we had for our big day, specially Linda O'Shea. The entire staff at the hotel was great and we highly recommend this as you wedding venue. We love this place! It was a really nice place for our guests to stay to be close to our wedding venue. Having the pub downstairs was perfect for gathering everyone together the night before the wedding. I booked the biggest suite they had for myself. It was the perfect place to get ready with all my girls and my hair and makeup team, and it was perfect later for my new hubby and I! Everyone from the front desk clerks, to the bartender at the pub, and the concierge were so nice and accommodating. They took care of some last minute details that I had overlooked in my wedding planning haze, like meals for the day of! I had breakfast sent up and later we had champagne and mimosas with sandwiches sent up for the girls and I when we were getting glammed up. Ryan was so helpful especially. My hairdresser needed some taller chairs brought up so she could have us at a better height and Ryan brought them right up. We had an excellent experience here! I cannot say enough good things about Salem Waterfront Hotel. Our wedding this past weekend was the best day EVER and it was all thanks to Caitlyn and everyone else at the hotel. First, they were so easy to work with, very responsive and flexible. They made sure we got exactly what we wanted and adapted their packages to fit our wishes. Not to mention, they did so at a great price we were comfortable with. The planning and tasting could not have been smoother. 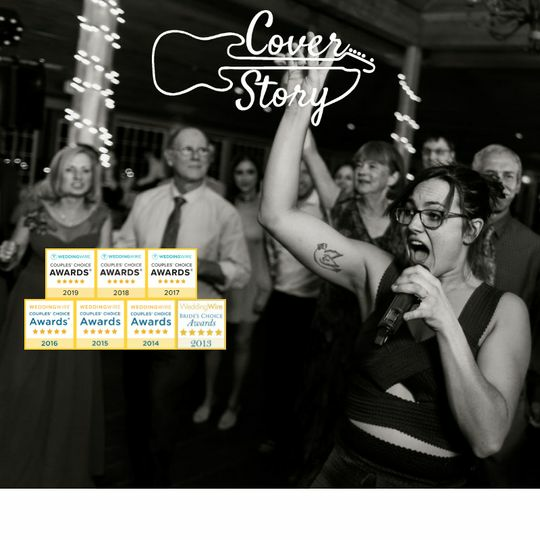 When the weekend arrived, we had our rehearsal and rehearsal dinner on Friday at the hotel in the Regatta Pub. The food was so delicious (italian buffet), the bartenders and waitstaff were friendly, fun, and excited for us. Everyone complimented this welcome event. 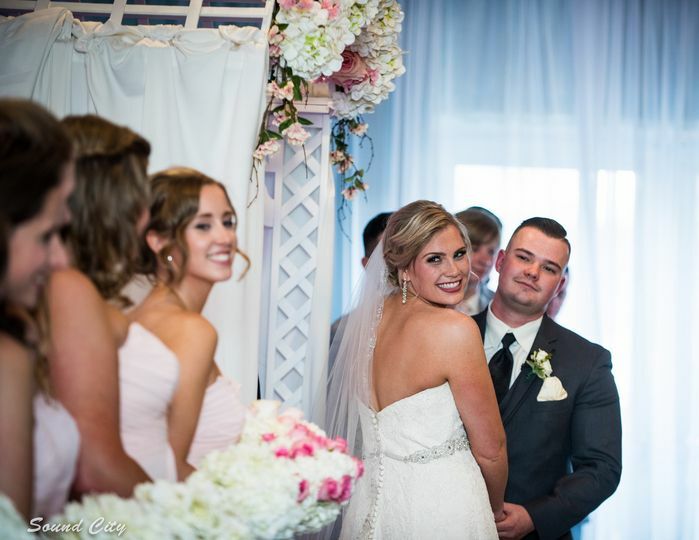 On the day of the wedding, Caitlyn was there for me, my husband, the bridal party, and our family every step of the way - we didn't have to worry about a thing. The hotel rooms were beautiful and spacious for us to get ready in and the room service was awesome. The ceremony went off without a hitch and afterward my husband and I had time to relax in the pub and Caitlyn delivered us our own tray of appetizers (scallops wrapped in bacon were out of this world) and drinks so we could regroup for the reception. When we walked into the reception I was SO happy with the way they set up all the decor and made everything look exactly as I had imagined and wanted. Lastly, the food was AMAZING. We went with the filet and baked haddock and everyone gave compliments on how it turned out. 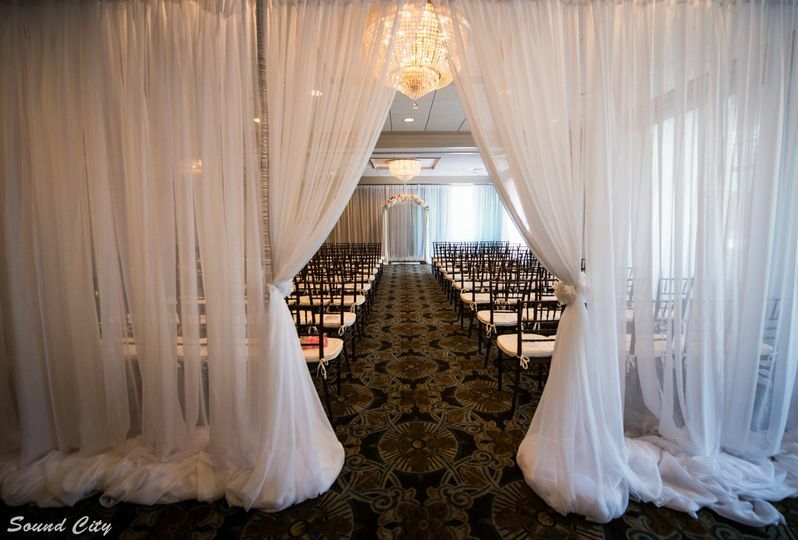 It truly was the best day and I am so happy we chose to have our wedding at the Salem Waterfront Hotel. Thank you so much again to Caitlyn and all the staff at the hotel and in the Pub. We can't wait to come back for our anniversary! Cover Story has done many events here and always loved the professionalism and organization! Top Notch! Chris Cover Story Ent. Situated in the heart of Salem! 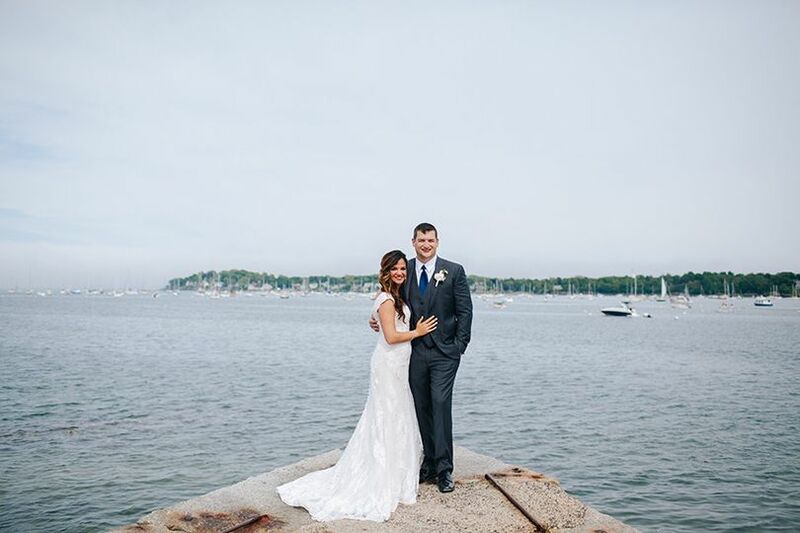 Beautiful harbor views, a great event staff, and near by venues that make for incredible wedding photos! I did makeup for a bridal party at this venue. The staff was very attentive to the bridal party and happenings/timeline of everything. I would definitely recommend this venue for a wedding. It&apos;s gorgeous and the staff is awesome! I would love to do more weddings there in the future!